Triumphant Victorious Reminders: Triumphant Victorious Reminders, "Selfishness Revealed"
Triumphant Victorious Reminders, "Selfishness Revealed"
"Rejoice in the Lord always and again I say rejoice." It has been a while since I wrote my last post. Busyness? No Time? Christmas season? Well, none of these are my excuse. I will be to the point confessing that I have not written in a while due to my own choice to be selfish. I have submitted to my flesh, which has resulted in resisting God and I have fled from the purpose-Maker over my life. I realize that as James 4:6 records, "Submit to God, resist the devil and he will flee from you" is not about a 'Three Step' formula on how to resist the devil. Apart from God, I can do nothing... absolutely nothing. However, when I submit to God, trust in God, run to God and HOLD ON to HIM; my Shelter and Safe Place, this beautiful thing called submission results in resistance to something or someone else. I learned from the Holy Spirit that when Satan sees me in my Refuge, in my Safe Place (Which is Almighty God), Satan can do nothing but cower and flee because of Who God is; not because of 'my' so-called strength to resist. Satan runs from my Strengthener who hides me under Himself as His massive wings. When receiving this revelation in my closet, it helped me to see the purpose of submission. It also became clearer of what Jesus talked about when He said we can not serve two masters. We can not submit or serve two things...we will hate the one and love the other. In this revealing power of the Holy Spirit there is this powerful reminder that whether we submit to God or submit to our flesh by default resistance takes place. The scales are coming off my eyes and as I walk in God's goodness upon the path of repentance, I realize that the time I occupy is not my own. The time that is loaned to me is not my own; but I sure have acted as though it is. It is being revealed quite clearly that I have not gone to Almighty God Who is not limited by time. When I finally yield to His abundant grace to get the things accomplished that He would have me accomplish there is glory to be revealed of Who He is. I am so guilty of having my own agenda list, but I am realizing that being a wife, a mom, a daughter and friend never caught God by surprise. The agendas of my own must be brought forth and trade out my own agendas with the divine agenda of God. For His agenda is to replenish and refresh, with His sole focus being on others so that they also may be replenished and refreshed revealing the Refresher of our souls. My purpose is to REJOICE in HIM and be glad in the day that He has provided. My purpose is to get the joy again that is from the inside by the power of the Holy Spirit. To 're' something is to do again! So everyday, I get to 'joy in the Lord' which provides and is STRENGTH for this very moment on this very day! As I joy in the Lord of my Salvation, Who is Salvation I realize that I need to commit everything to the Lord and He will lead me to the divine appointments He has set forth manifesting in our dimension of time that has already taken place in His dimension of eternity. Yes...this is mind blowing to even 'go there', but we must continuously have mind blowing moments toward our God. It is our Triumphant Victorious Reminder of who we get to be in Christ as we realize that He is Triumphant Victory yesterday, today and forever! When we give of His time, may we see the great things that He is doing and has done through us for others. it is GOD 'AWE'ING FOCUS! I realized I already came by and read this the other day but I must have been a little distracted. I was thinking of you so I came by again and boy was this a great post for me! I have been struggling with the very same things and it really helps to see more clearly what I need to do and that is lean into God more. 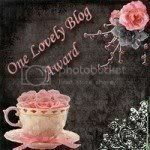 I have linked your blog to my blogroll. Praise God for all that he is doing in your life.